Roughly three-quarters (77 percent) of Americans own a smartphone, according to the Pew Research Center.1 In our device-driven, crowded market, brands constantly must examine new ways to connect with their customers. Recent research from Blackhawk Network2 reveals that alternative payment forms, like mobile and contactless payments, can help brands to engage with consumers. Not only can mobile payments drive traffic and incremental sales, they can also reduce shopping cart abandonment, support customer acquisition and help marketers overcome other key challenges. Blackhawk’s research examined how branded value—branded objects of value that can be accepted as payment or in exchange for another product or value, including gift cards, loyalty points, etc.—can motivate shoppers to spend and engage with brands. The research found that mobile and contactless payments are being used at rates higher than some might suspect; 36 percent of survey respondents reported regular use of these payment options, with younger people being more likely to use them. What’s more, most consumers surveyed (85 percent) believe using an alternative payment method saves them time. The data also indicate that alternative payments actually can drive sales and loyalty. With these things in mind, marketers shouldn’t consider alternative payments as simply a means to transact, but rather a powerful engagement tool. Increase the likelihood of customer purchases and recommendations. Nearly eight out of 10 of the surveyed consumers (77 percent) would likely recommend a retailer that offers an alternative payment, like a mobile wallet. Seventy-eight percent also believe that alternative payment options up the likelihood of them making a purchase. Foster loyalty: Most respondents (67 percent) believe using an alternative payment method keeps them loyal to the brand or retailer, and about a quarter of respondents (26 percent), feel even more loyal to the brand/retailer in question. Drive shopper traffic and affinity: Thirty-seven percent of respondents are more likely to visit a website or store that accepts alternative payment forms. Additionally, 77 percent would likely recommend a retailer that accepts an alternative payment method. Spur promotional participation: If a store or brand offers rewards with a mobile purchase, nearly half of respondents (46 percent) are likely to use that payment option. The likelihood jumps to 82 percent among those already using a mobile payment method of some sort. Prevent cart abandonment online:Eleven percent of survey respondents said a mobile payment option would motivate them to complete an online purchase. Going beyond a traditional payment system by offering mobile or contactless payments that actually make life easier or add real value for consumers ultimately can help brands generate greater loyalty and engagement. Brands should consider mobile and contactless payments as an effective marketing tool in their arsenal of branded-value solutions. The “Evolution of Technology” survey was conducted by Pew Research Center in November 2016. 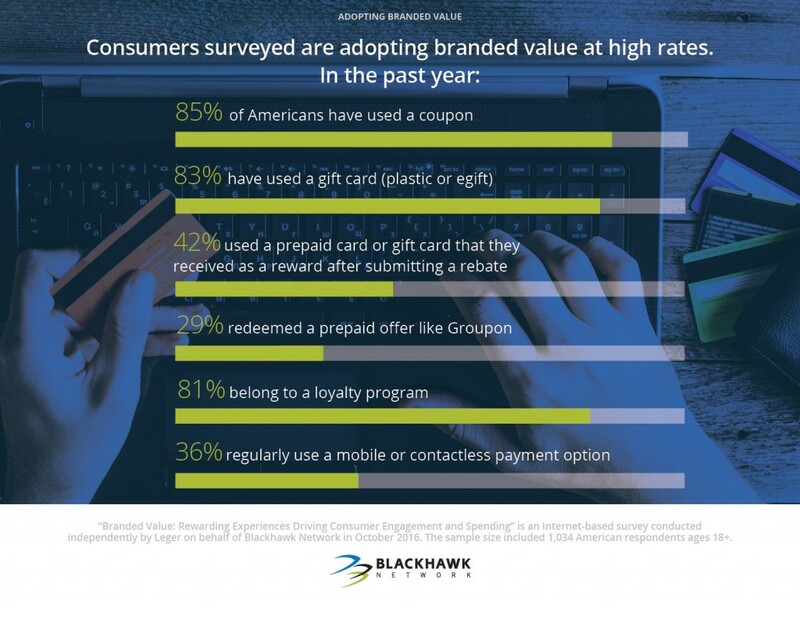 “Branded Value: Rewarding Experiences Driving Consumer Engagement and Spending” is survey conducted by Leger on behalf of Blackhawk Network in October 2016. The sample size included 1,034 respondents. The EBA has to move out of London because of Brexit. With an influx of tech, startups and financial services providers, Ireland is making a case for Dublin. Debit Cards Knock off Cash as No. 1 Payment Method in U.K.
Cash is no longer king in the U.K., according to the British Retail Consortium’s annual Payments Survey, which found that debit card transactions accounted for almost 43 percent of all retail transactions in 2016, overtaking cash, which accounted for 42 percent of all retail transactions, for the first time. A deep dive into a packed panel discussion on disruption at the annual conference shows how payments providers are mapping the future with new technology, and how traditional players can endure. Prepaid providers are at a crossroads: They can create products that carry relative high fees, or craft consumer-friendly programs that promote financial health. Here’s a case for doing the latter. 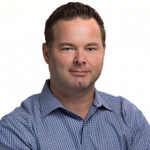 A consensus is building along the payment frontier: Banks can serve as platforms though which a plethora of third-party services and customers are able to connect through an API. At this week’s Smart Card Alliance Payments Summit, experts looked to mobile and transit for a view of how payments will evolve. Here is a dive into the trends that likely will keep making news in the years to come.